BooKats is a CFA registered cattery and located in Central FL. We specialize in Silver,Golden and Blue Golden kittens from Champion/Grand Champion Pedigrees. Now offering solid colors, bi-color, calico and tabby. All of my cats are a part of the family and are lovingly raised under foot. The kittens are well socialized, come with a written health guarantee and a FL Health Certificate from my vet. PKD (UC Davis tested), FIV, FeLuk negative, mite, flea and fungus free guaranteed. Please stop by my website for a visit! Home of Shensilvers Tipped in Silver, the #1 Silver Persian in the USA and 3rd Globally 2014. We have Region Winners, Grand Champions and World Champions. Our cats come with negative PKD, FeLV, and FIV certificates. Member of the CFA Silver Persian Breed Council. We live in Ocala, FL, just north of Orlando. Call Brenda 407-312-0795 or Bob 540-660-2603. Please come and visit our Cattery and see our beautiful Silvers and Blue Goldens. Our cats are a part of our family, they grow free, never in cages, play_ around_ the whole house, that’s why we want_ to find families love_ an tend_ to them well. They have been breed for beauty and temperament. They have never been in caged but were raised underfoot with an abundance of love and constant attencion given to their personality development. CFA Certified. 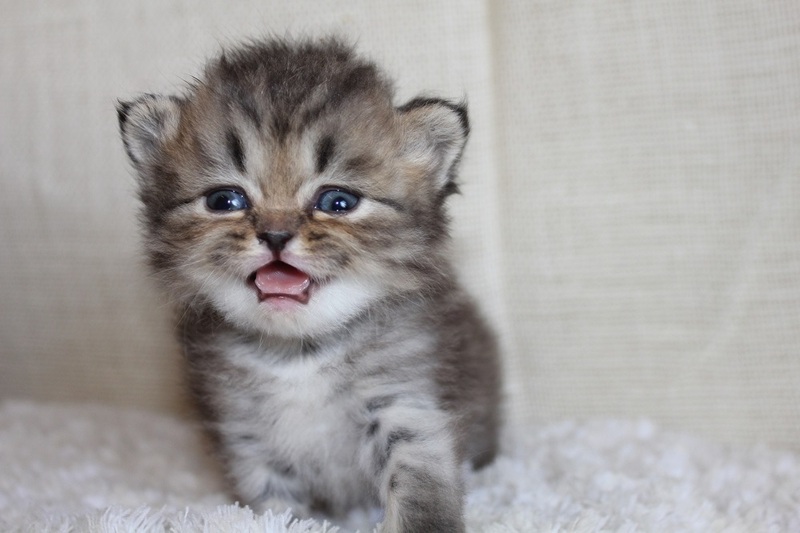 Your kitten will come with a certificate of health by a licensed Vet and a carrier, food and care instructions to get you and your kitten off to a great start. Beautiful Persians from Champion lines. I specialize in Bi Colors and Vans and Chocolates. I am a PDK and FIV negative cattery. Veterinary Technician raised, healthy, happy kittens that are free of parasites and disease. All are negative for PKD, Felv, Fiv, Ringworm and Fleas. Vaccinations- Written Health Guarantee- Health Certificate from Licensed Veterinarian- We supplement our babies from birth with bottle feeding to enhance their socialization and cuddling instinct and it works! They are more like puppies who always want to be with you. Our babies have huge coats and large expressive eyes. Pick up or Shipping Available from Orlando International Airport. For more information and photo’s take a look at our website. Precious Moments Persians is not just a small CFA registered cattery, but also the place I call home. Here they climb several different cat trees, sleep in places of comfort, and roam free ,never being caged;the whole house is their play ground. They sleep with me in the bed at night and go with me on trips. 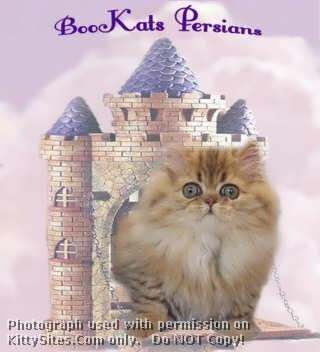 My Persians are small in size: females grown 5-7 pounds, males 6-8 pounds. 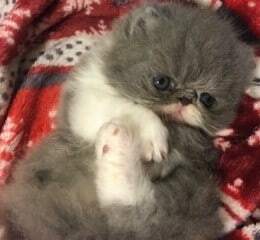 I breed Dearheart Persian line. We are a small, cageless cattery. Our Persian babies are raised with loving care to produce exceptionally sweet kittens from National/Regional Winner and Grand Champion lines. Health, sweetness and Beauty are our three main goals when breeding our kittens. Acquiring a kitten should be a joyful and stress-free experience, so we give you all the security you need: guarantee, references, sire/dam PKD negative tests, health certificate and shots but require only that you love and care for our babies. We produce mostly show/breeder quality kittens, specializing in calicos, bicolors and blue or copper-eyed white kittens. Belcherpurrs – Our commitment to Selective breedings ensure Optimal Health and Personality. 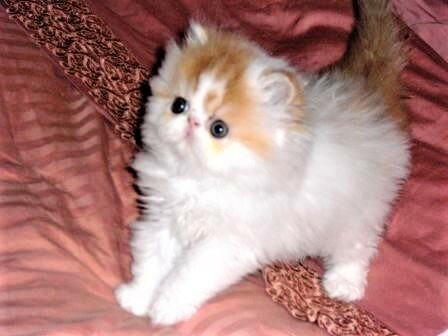 CatsCreation – Persian Kittens for sale , Persian Breeders using Grand Champion Bloodlines, CFA registered Cattery of excellence Florida state health certificates. GenieKats.com – We specialize in Goldens and Silver Persians. Health certificates. Adorable doll faced. Lionzden Cattery – CFA Reg small cageless cattery breeding Himmys,Smokes, Chocolates, Flames, with Champion lines. 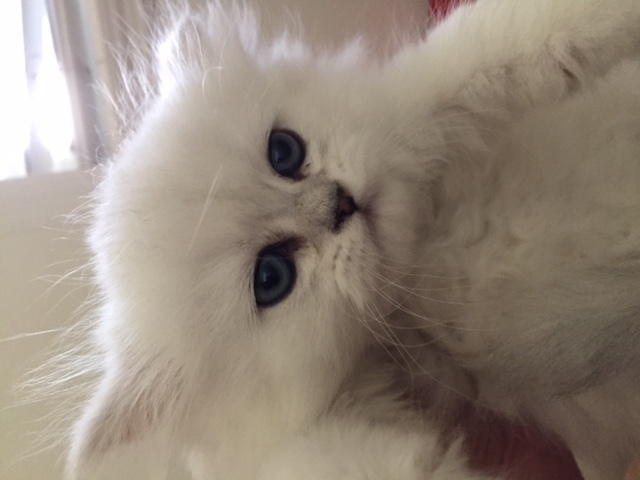 My Bluestars – Purebred and healthy CFA registered Persian kittens with variety of colors. Vaccinated and tested. 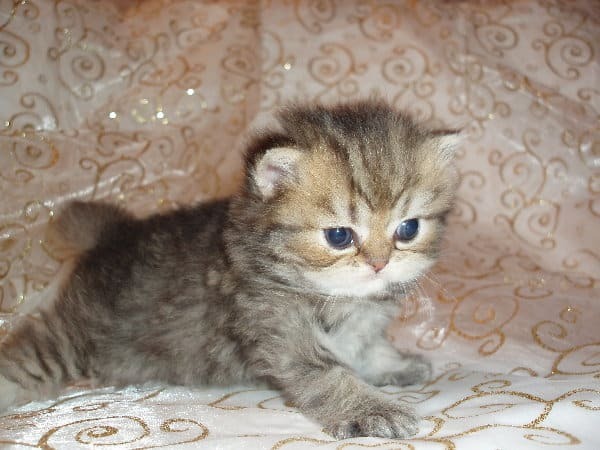 Purr Kitty Cattery – Pure Persian Kittens Bi-Colors and Solids. CFA Registered. 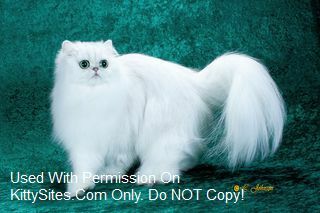 Purrepiphany Persians – Registered Blue Eyed Snow White & Himalayan Persian Kittens, Health Certificates & Health Guar. Pur-Snickity Cattery – Bi-Color Persians; PKD negative; Excellent pedigrees and dispositions.